"If you can build an energy-efficient home that's cost-effective too, why would you not do it?" asks Austin architect Stuart Sampley. When he started his practice five years ago, he saw a gap in the market for young, creative professionals who want to own smart, energy-efficient homes without spending a fortune. "I don't [design this way] because it's green — I do it because it's the right thing to do," he says. 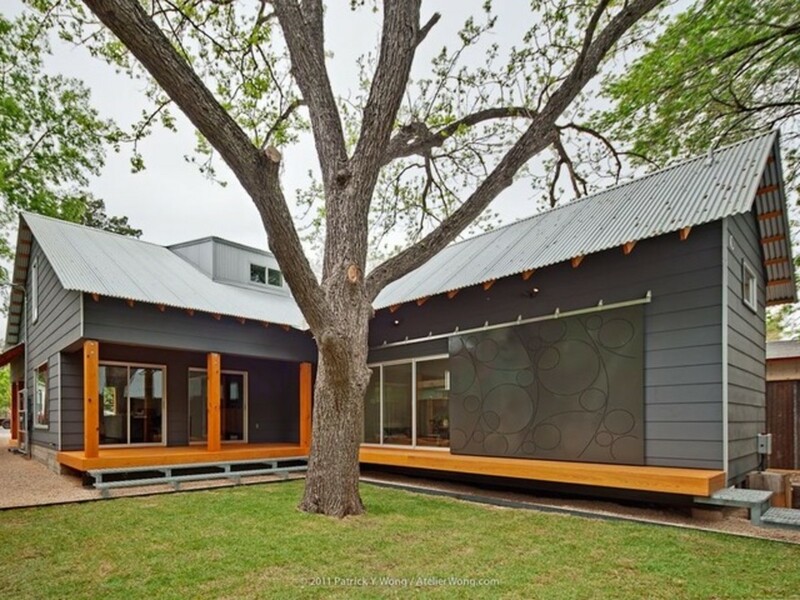 The Austin Design Build Alliance, a nonprofit develop/design/build lab that looks for alternative means of providing sustainable, affordable housing, contracted Sampley to build this residence in the city's Bouldin Creek neighborhood. 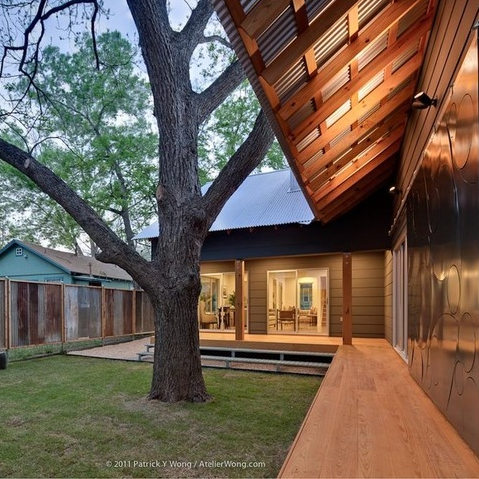 In return, they ended up with a home that received a five-star rating from Austin Energy's Green Building Program, earned an EPA WaterSense label for efficient water use, and was featured on the 2011 AIA Homes Tour. The home's 1,900 square feet include four bedrooms, three full baths, a powder room, and an outbuilding with a flex space that can be used as a guest bedroom, office, or play space. The building materials are simple but hardworking: a corrugated Galvalume roof, which reflects light and resists rust; HardiePlank lap siding, a fiber-cement material that resists rot and holds paint well; and soffits and porches built of cypress, a wood that grows locally in swamps and is also very rot-resistant. 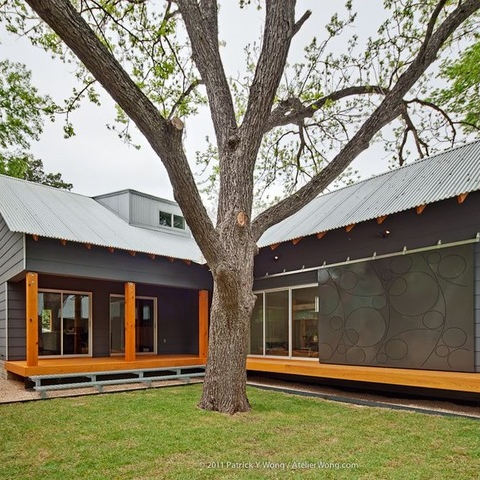 Sampley had local metal artist Susan Wallace design the front door, then use a larger-scale negative of its pattern to create an external steel slider over the master suite's doors. 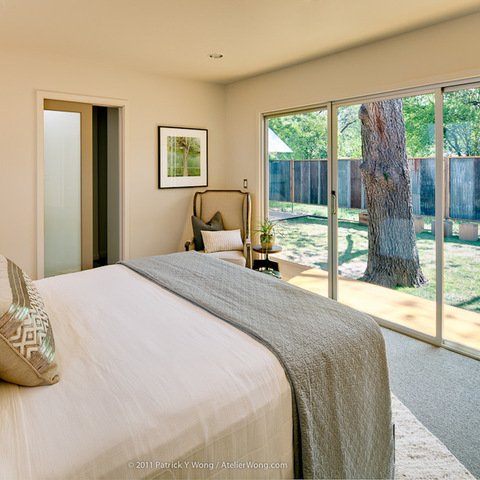 The steel slider is one of the home's most distinguishing creative elements, providing an option of privacy and creating artful patterns of the light coming in during the day and seeping out at night. 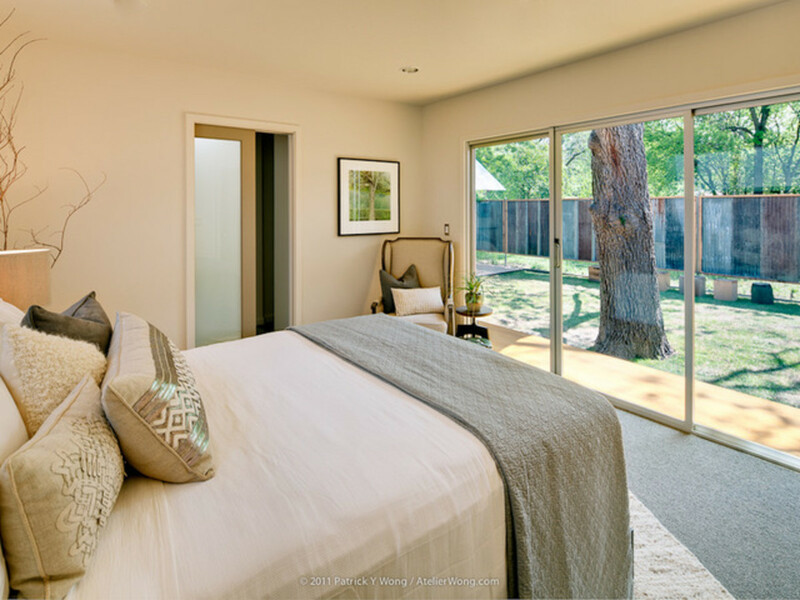 When the steel panel is open during the day, light floods the master bedroom through the expansive sliders; the master bathroom is through the door. Sampley used zero-VOC paint and carpeting throughout the home. "The DBA had an idea, but they didn't have a lot yet," Sampley says. So they went searching with Sampley and found this one, which includes three heritage trees — trees less than 24 inches in diameter and carefully protected by the Austin Heritage Tree Foundation. Sampley loved the lot for that very reason. The finished main house's L-shape neatly cradles one tree between the master suite (on the right) and the living area (at left). 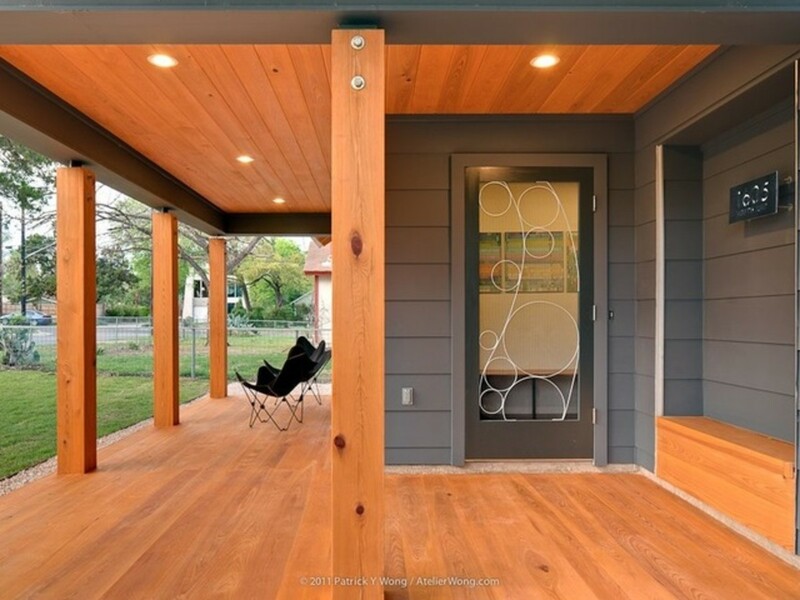 The honey color of a cypress porch adds sunny warmth. Its rich glow is achieved through a simple, nontoxic oil treatment. "When you look at the detailing of the house, it is modern — but somewhat transitional," Sampley says. "It's a classic form, but all of the detailing is a reinterpretation of the classic details." Sampley isn't sold on layouts where the kitchen, dining, and living areas are all part of one large, open space. "If you want to live in a loft, live in a loft," he advises. 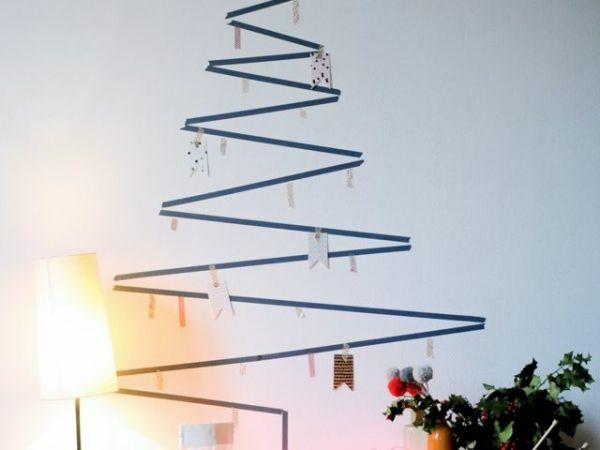 To create a gentle division between the living and dining areas here, he wrapped a partial wall with walnut plywood. 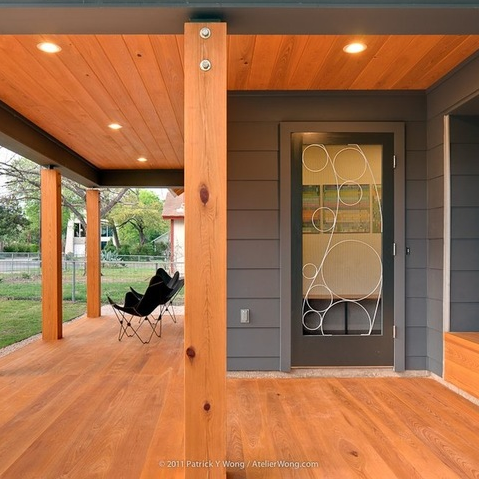 "Walnut and cypress have very similar grain patterns," he says, drawing a connection between the home's exterior wood features. The wall distinguishes the two spaces without closing them off, and also provides one surface that's a suitable place to situate a hutch or sideboard or to hang artwork since most of the other walls have windows. The reverse side of the wall has built-in entertainment storage at the bottom, making it a convenient place to hang a flat-screen television. 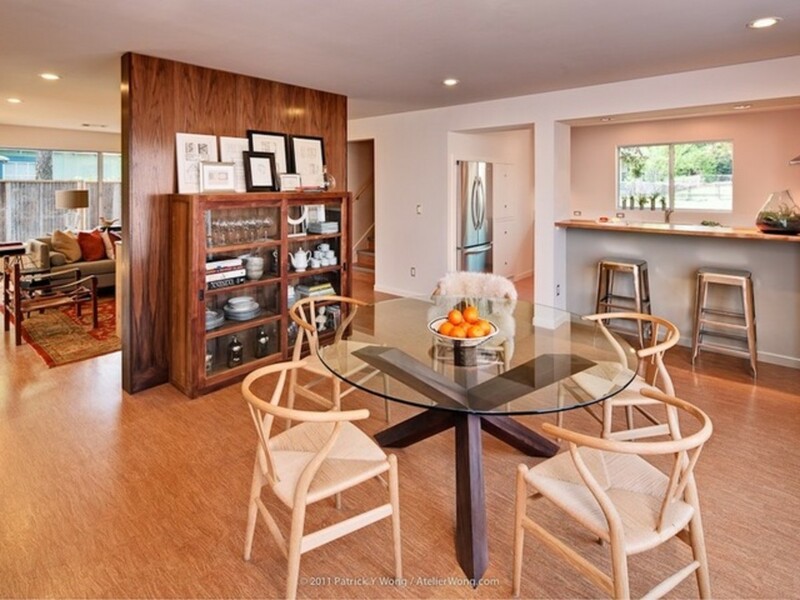 The flooring is cork, which is quiet, resilient, easy to clean, soft underfoot, and a sustainable material. Sampley has observed that a lot of new homes have a tendency to overcompensate in the kitchen. 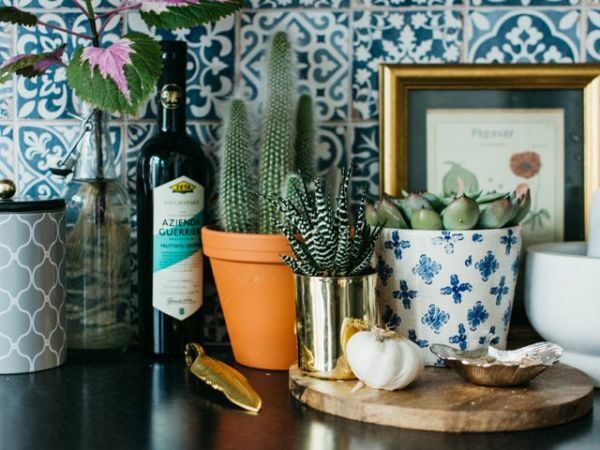 "I wanted to create a small, compact, very functional kitchen that still felt open," he says. 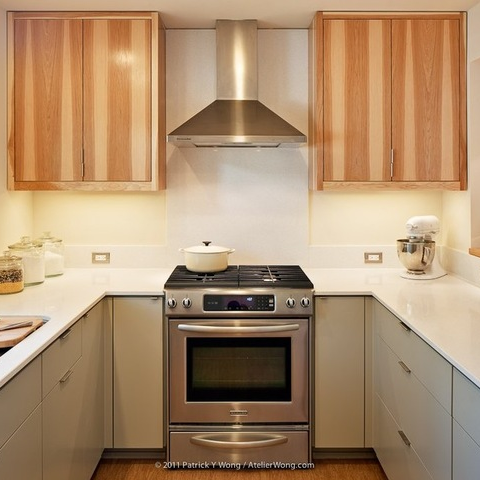 He noted that many potential buyers and AIA-home-tour-goers who stepped into the 12-by-19-foot finished kitchen were surprised to discover that it is more than adequately spacious. 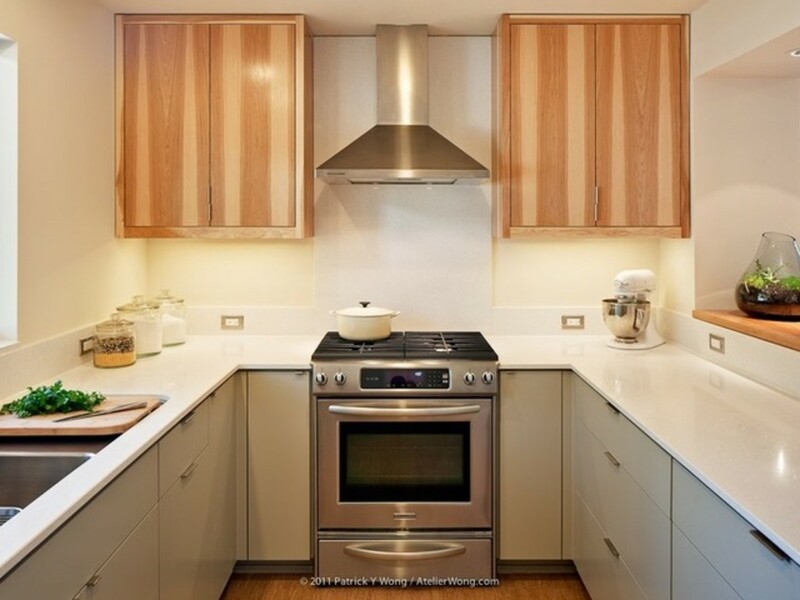 Materials are simple: the countertops are Silestone, the cabinetry is painted wood below and pecan above (the "B" side of the plywood, he adds — because he preferred its rich color variations), and the appliances are Kitchenaid. 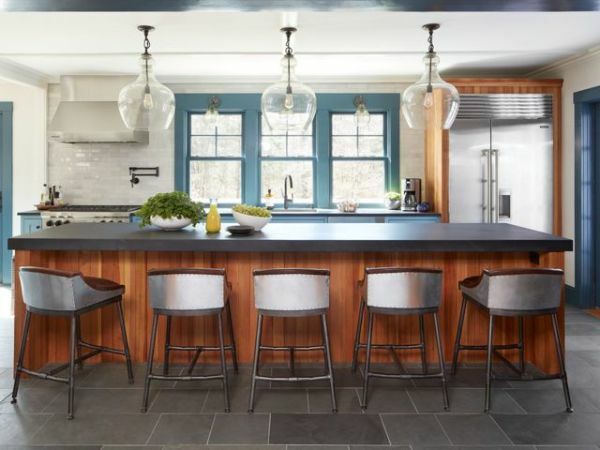 Sampley says that the kitchen designer he worked with laid out the kitchen meticulously, making sure that there is a practical place for every necessity. The home's practical, commercial-grade aluminum windows let in tons of light to the clean, well laid-out living space. "There's not really a project that's too small for me," Sampley says. 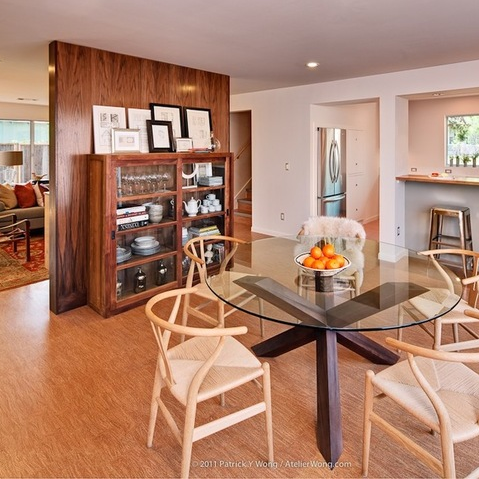 "Over 75 percent of my work is substantial remodels or complete remodels down to the studs. And some new construction. But a lot of my new work is going back to look at these old forms and styles and traditions, and taking those as a starting point." Sampley keeps his projects cost-efficient partly by staying involved from start to finish. "Architects who make a plan and hand it off to the builder can get out of touch with how much things cost," he says. He makes sure his clients know how much things should cost, what the quality of the work should be, and where it makes sense to put the money. He then makes sure each phase of the project is well coordinated without long and costly lag periods — for instance, making sure paint colors are chosen while the walls are put up, and that the painter is there as soon as they're ready. When Sampley and the DBA found the property, it was occupied by a tiny, dilapidated home with a dirt floor. As they tore it down, Sampley was determined to find ways to reuse materials, but most of them were unsalvageable. He had an idea for the structure's extensively rusted corrugated roofing, though — whose reincarnation you can see in the house. They kept the metal sheets in a stack during the new home's construction, and at the end framed them in wood to create a new privacy fence. The home is near one of Austin's historic moonlight towers — or moontowers — 165-foot light towers erected around 1895 to illuminate unpaved and underdeveloped areas of the growing city. They were common all over the country at that time, and Austin's remaining 17, of an original 31, are now listed on the National Register of Historic Places. 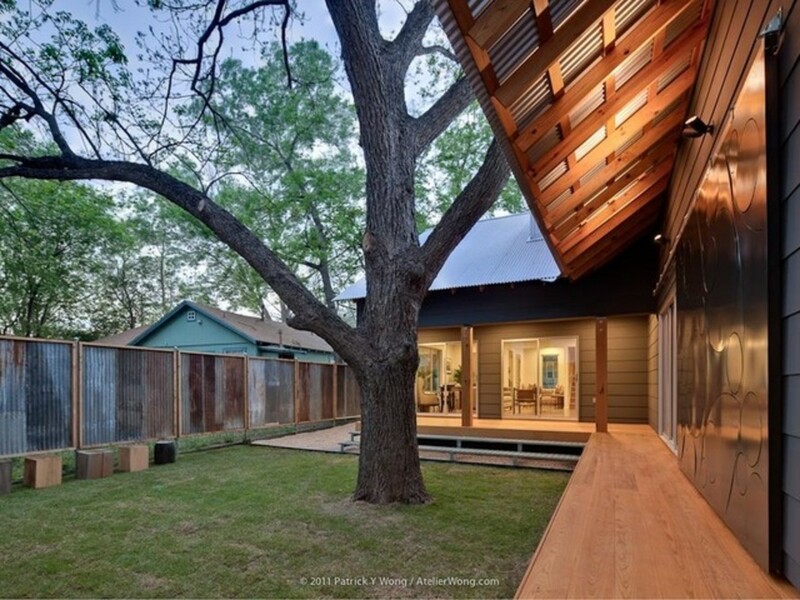 To subtly differentiate the property's two structures, he used board-and-batten siding on the outbuilding, in contrast to the lap siding of the main home.